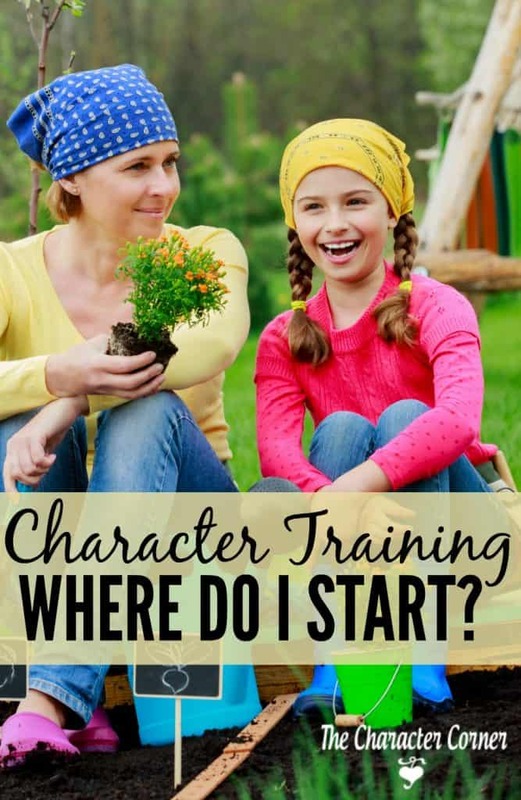 Character Training – Where Do I START?! Perhaps you have looked at our 48 Godly Character Traits chart, and wondered the same thing! 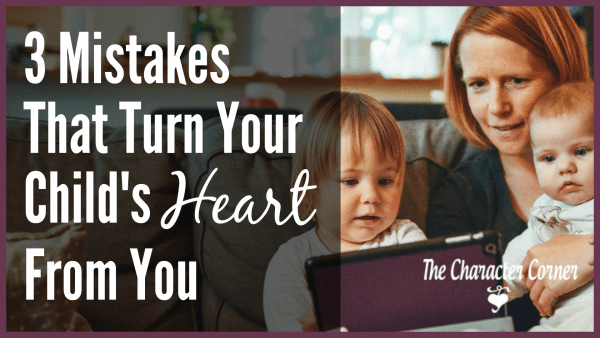 My suggestion is that you think about what is frustrating you in your child’s behavior. Usually that goes back to a flaw in their character. For example, maybe you get frustrated daily because you have to tell your child what to do 3 or 4 times before they do it. 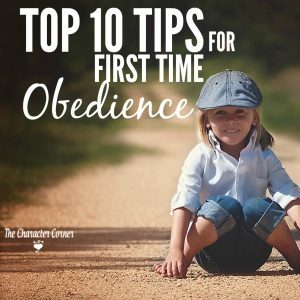 You need to work on obedience. Perhaps they tend to lose their school books, pens, papers, etc. Start working on orderliness. 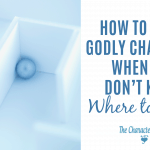 Rather than be frustrated by the behaviors, go to the source of the problem (the character trait), and start doing some training to help them make changes in that area. 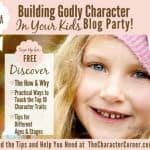 There are many character traits we need to teach our children, and the order really isn’t that important. 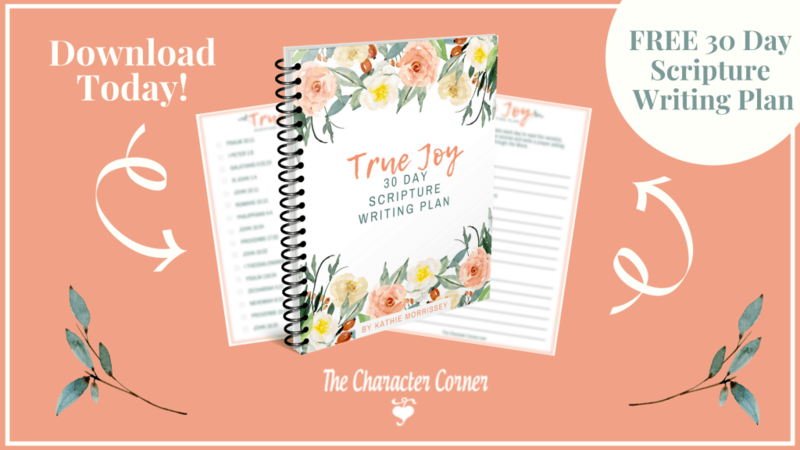 However, you don’t want to just plan to start on character in general, or you probably won’t really be effective in teaching any of the traits very thoroughly. Therefore, what IS important, is that you choose one specific character trait to focus on, choose your resources, and get started! Once you have chosen the trait that needs work, focus on that trait for a week or two, or longer if needed. 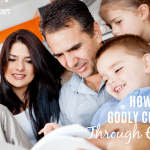 The goal of this focus is to give your kids an understanding of what this character trait means, and then to study it in more detail, and have daily lessons about how they can practically apply it to their lives. Stay with it until you think your kids understand it, and are trying to apply it to their lives. Look up Bible stories that show someone who is a positive example of that trait, and what the results are because of that. For example, if you are focusing on obedience, you could talk about how Abraham responded when God told him to sacrifice his son. Did he obey? Did he question God? Did he wait to do what God told him to? Also, look for negative examples – like someone who didn’t obey God, and what the consequences of their disobedience were. Tell personal stories that relate. Kids LOVE it when you tell personal stories! If you are teaching them about truthfulness, perhaps tell about a time when you weren’t honest, and the trouble it brought. Let them see the positive reasons to grow in the character trait, and the positive results that come from it. Make it personal. 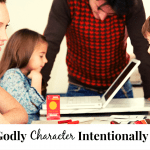 Talk about something specific in your family that relates to applying the character trait. For example, if you are focusing on initiative, you might encourage them to look for things that need to be done, and see what they can do without being asked. Give them Bible verses that relate to it, and have them memorize one or two of them. We want God’s Word to be in their hearts and minds, and we want them to know that everything we focus on is important because GOD says it is, not just because WE think it is. Pray with them daily about applying that trait to their life, and growing in that area. Ask them about their progress, or failings, then pray for continued help and growth. Most important, remember the importance of your example! Having One Of Those Character Building Days? Hi neighbor. Visiting you from Women With Intention this morning. Great post!